No. 5, Jalan Putra Permai 10/2E, Putra Heights, 47650 UEP Subang Jaya, Selangor, Malaysia. Tat Ee Metrology Sdn Bhd was founded in 2004 with high technology and excellent experience in measuring, testing equipment and automation industry. 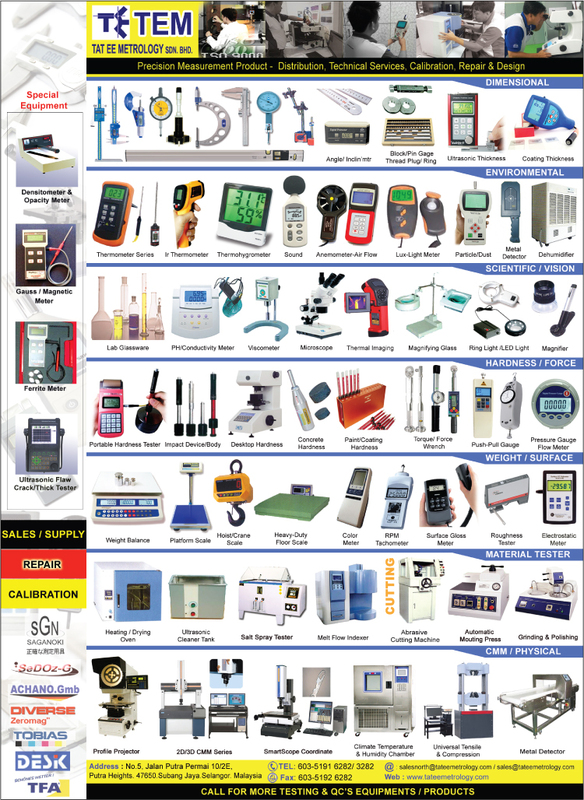 We offer a broad range of measuring equipment to ensure the best and complete service for calibration, instrument, measuring industry.